In today’s digital world the quantity of data being collected and stored on a global level is almost inconceivable and will only keep growing. Referred to as big data, organizations take advantage of this by analyzing the accumulated data for insights that lead to better decisions and strategic moves – making it a critical asset to countless businesses. The vast volume of structured and unstructured data at an organization’s disposal helps corporate America understand more about its consumers purchasing preference. Big data is the most effective and beneficial loyalty program a restaurant has to generate a significantly lucrative advantage. In the food service industry, big data can play a pivotal role in helping restaurants know customers on a deeper level, and as a direct result, open new revenue streams for increased sales and customer traffic. Using IT systems installed in restaurants, sizeable amounts of data can be gathered about customers’ habits and preferences. Restaurants’ IT and marketing teams can then absorb this data, notice trends and develop an action plan to increase sales. Without realizing it, customers are creating a digital footprint of their preferences, habits and interests when they utilize a restaurant’s online resources, such as Wi-Fi, rewards programs and mobile applications. Restaurants can then use analytical software built into the aforementioned offerings to access data and define customer groups and personas. The more connected restaurant owners are with customers, the better they can cater to their needs and wants by offering tailored benefits, such as free food and in-store events. In addition, exploring customers’ habits and preferences allows restaurants to have a predictive analysis advantage. By anticipating customers’ actions, you can build relationships with them on a new and personalized level. As a restaurant leverages predictive data to tailor its services, advertisements and other offerings, it is cultivating trust with customers as their relationship with the brand becomes more apparent. Essentially – big data is the most effective and beneficial loyalty program a restaurant has to generate a significantly lucrative advantage. Beyond promotional gains, restaurants can use big data for other business development ideas. Below are some initial options for restaurant owners to begin thinking about how to best capitalize on this information. Ordering inventory correctly can sizably impact a restaurant’s bottom line – positively or negatively. Restaurants don’t want to waste products by over ordering, but try to aim to avoid having to pay a premium for stop-gap inventory needs. By correlating buying trends and demographic data, restaurant owners can better predict what menu items will sell and be able to stock inventory accordingly. It’s impossible for a restaurant owner to foresee the number of customers their establishment will serve on a given day. Different restaurant locations have peak hours at different times. By improving estimations on the number of staffers needed, restaurants can avoid over or understaffing more frequently. Analyzing high traffic times and regional trends allows owners to better predict when to increase or decrease staffing. Opening an additional restaurant takes a great deal of resources, including time, money and effort. Choosing a location can be paramount to the success of a new restaurant. Using demographic data gathered through loyalty programs, social media and other survey methods, a restaurant can know where to build new locations or franchises that have a high probability of being prosperous. With the multitude of options individuals are faced with every day, it’s important to know what makes your customers happy and what they’ll want in the future. By better understanding the purchasing patterns of a guest, a restaurant has a better understanding of their needs. Given this, a restaurant can determine the feasibility of new endeavors, such as new dishes, menu categories, delivery programs or the need for a brand refresh. As the saying goes, “Knowledge is the key to success,” and big data provides restaurant owners with copious amounts of it. By taking advantage of big data, organizations can make more decisions based on facts and decipher the best methods to accomplish goals and increase profit. 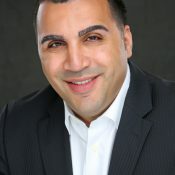 Sam Darwish is the president, CEO and co-founder of Skinny IT, a North American solutions company that focuses on providing end-to-end lifecycle solutions. The company enables businesses by providing customized, integrated technology hardware and system designs, allowing its customers to operate efficiently and go to market in record time.